On this day, because we had Shelby as a driver, we were able to have all seven divers in the water at the same time. 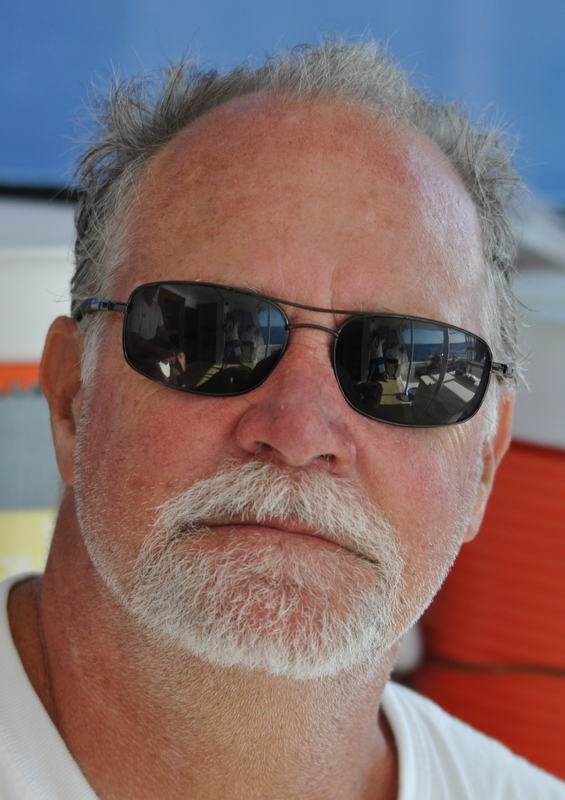 I dove with Jack and Ted in 75-feet of water, east of the third reef. This allowed the other divers to dive parallel on the third reef, which runs north and south, making it easy to navigate. We started deeper, in an area with some small islands, with patches of sand in between. On the second dive, after a surface interval of an hour, we all dove the top area of the third reef. This is where I shot a nice mutton snapper and picked up some more spiny lobster. 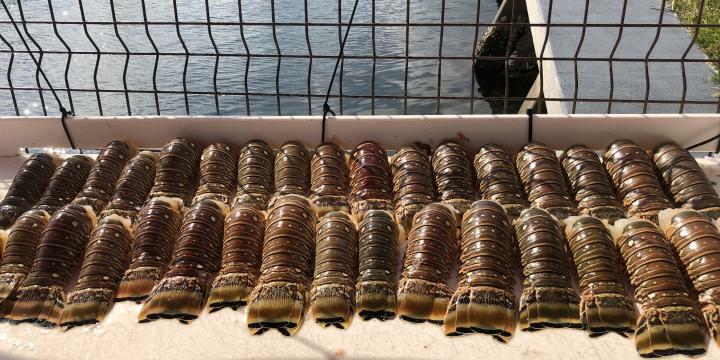 Overall, we grabbed 40 lobsters, just two shy of our lobster limit of six per diver. Not a bad winter day! We’ll have to resign ourselves to six more weeks of this “brutal” winter. Getting almost our limit of spiny lobster, a nice mutton snapper and a great day diving with great friends, it seems it will be more of the same.